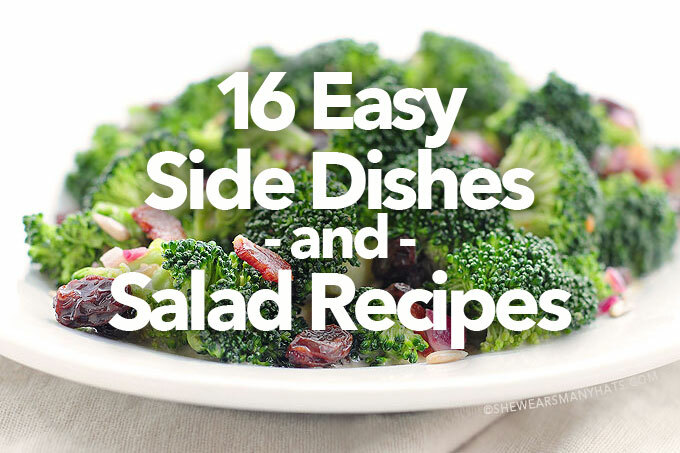 With this collection of 16 Easy Side Dishes and Salad Recipes you’re sure to find a few favorites. Whether you’re heading for a picnic or planning a backyard feast, a selection of go-to side dishes sure does come in handy. They can compliment the main dish or sometimes even be the star if the show. I know there have been many times that I have found myself with a plateful of side dishes and salads and totally skipped the main entree altogether. 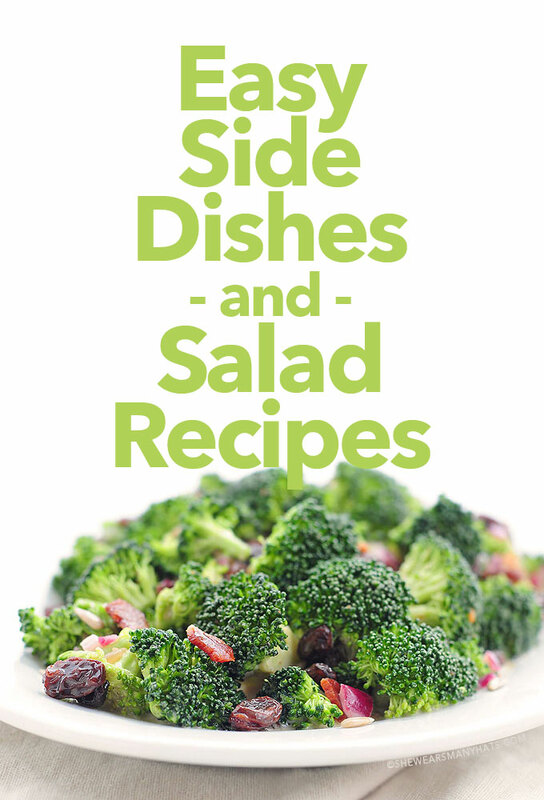 I’ve gathered a list of some of our family’s favorite easy side dishes and salad recipes. Some of these recipes make a weekly appearance in our home, and others never miss out on a cookout. 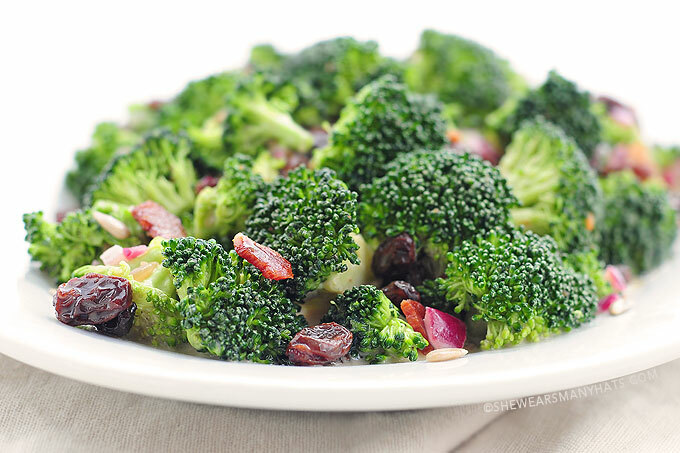 Broccoli Salad Recipe: This Broccoli Salad is full of flavor with crunchy broccoli, crispy bacon, red onion, raisins, and sunflower seeds, all mixed together with a sweet and savory dressing. 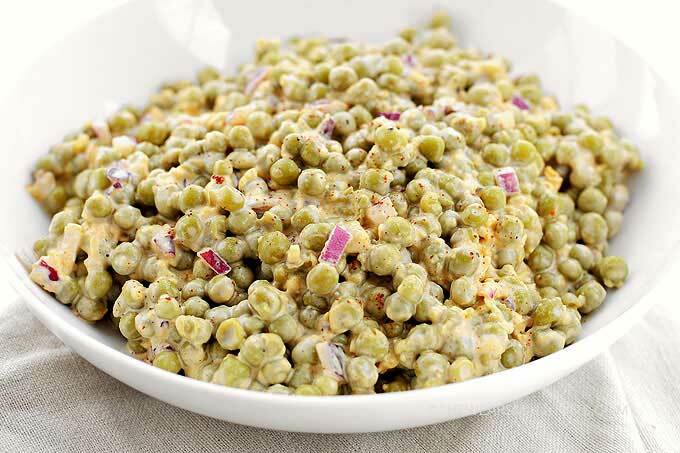 Pea Salad Recipe: Early peas, shredded cheddar cheese, crunchy bits of red onion, and mayonnaise to tie it all together to create big flavor with this salad. 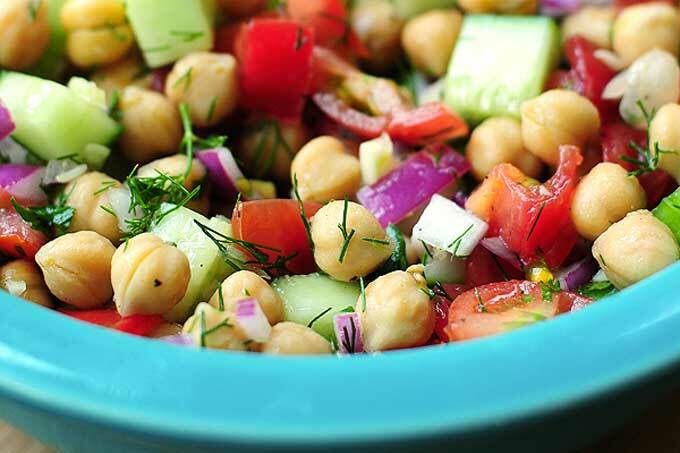 Cucumber and Chickpea Salad Recipe: Great flavor for such simple ingredients. Dill mingles with lemon, lime, garlic, parsley, red wine vinegar, and olive oil to create a zingy and fresh marinade for cucumber, chickpeas, celery, tomato and red onion in this light dish. 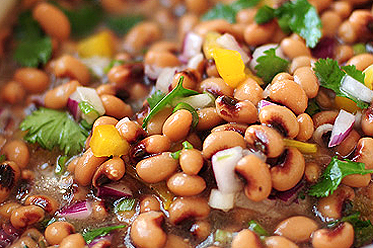 Black-eye Pea Salad Recipe: This simple side dish or appetizer is healthy and full of flavor. Otherwise known as Redneck Caviar, this is quite addicting, to say the least. 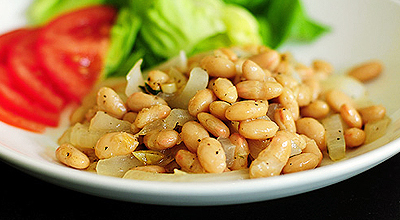 White Bean Saute Recipe: Quick and easy! 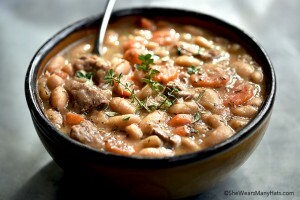 This recipe is great served alongside chicken, fish, beef, or maybe just a nice crisp salad. 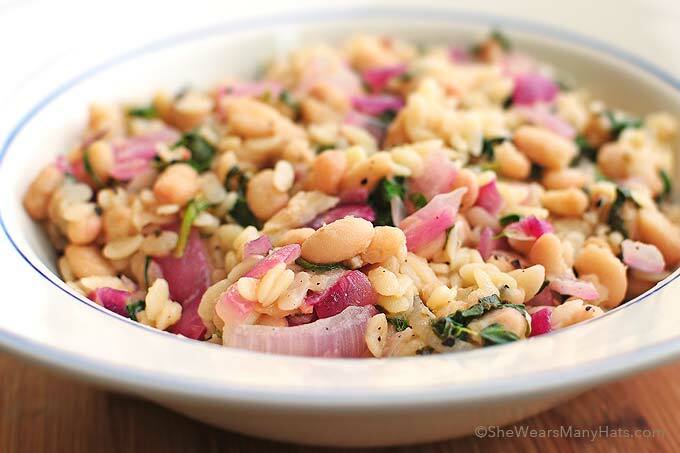 Skillet Orzo with Spinach, Beans and Lemon Recipe: An easy one-pan meatless side dish or lighter main entree. So full of flavor! Garlic Lemon Green Beans Recipe: These tasty and simple beans are fuss-free and are perfect served as a side dish, or enjoyed on their own as a lighter lunch or crunchy snack. 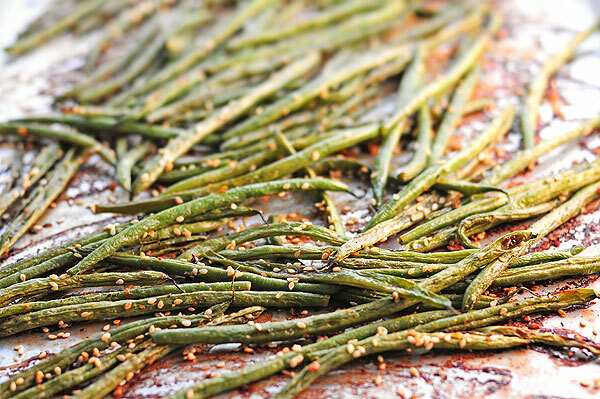 Coconut Milk Roasted Green Beans Recipe: These quick and easy green beans are satisfying, full of flavor and crunch. 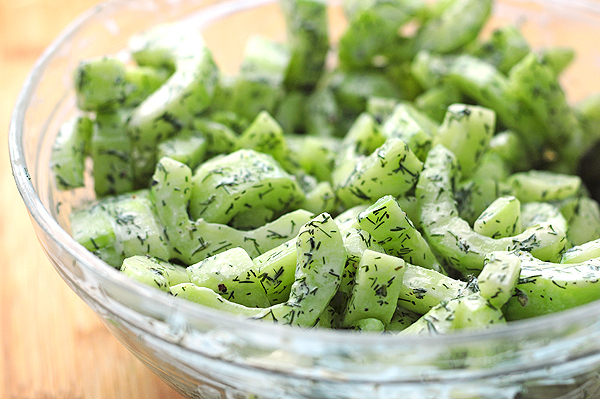 Cucumber Dill Greek Yogurt Salad Recipe: This crunchy salad is a great summer side dish for cookouts and picnics, as well as the perfect cool afternoon snack. 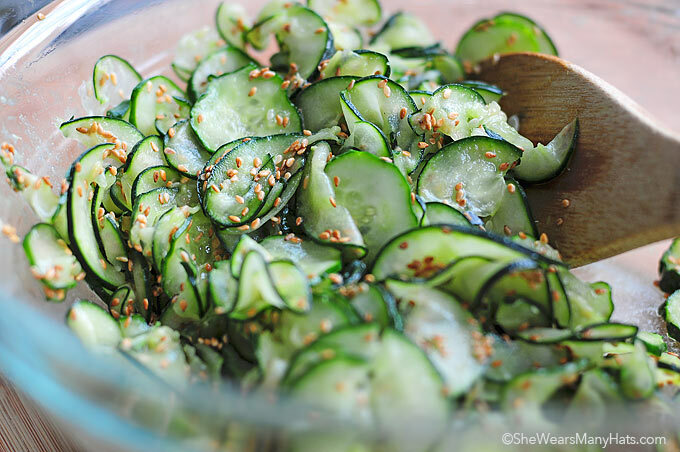 Wasabi Cucumber Sesame Salad Recipe: Crunchy, zesty and spicy, plus nutty toasted sesame seeds. YUM! 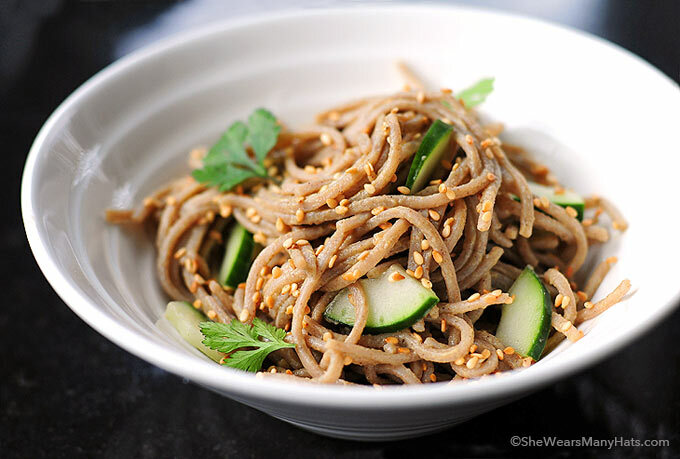 Wasabi Noodles Recipe: This flavor combination will satisfy those cravings for something spicy. 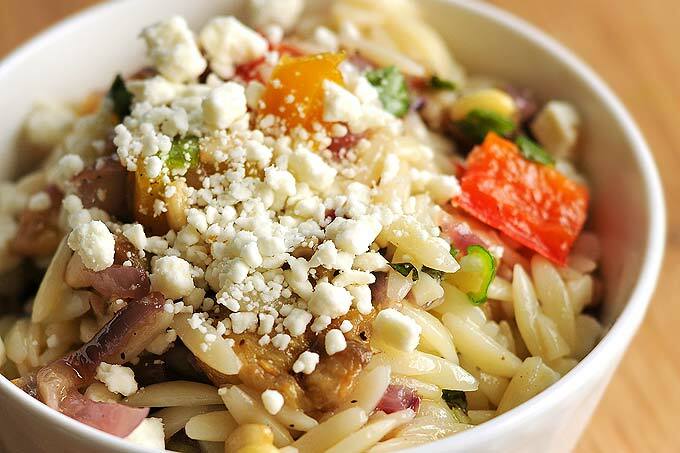 Roasted Vegetable Orzo Salad Recipe: While it can be served as a side dish, it really can stand alone as a main course, and it is just as delicious served cold. It even gets better after it mingles together in the fridge for a while. Perfect for a picnic, or if you need to make ahead for a dinner party. 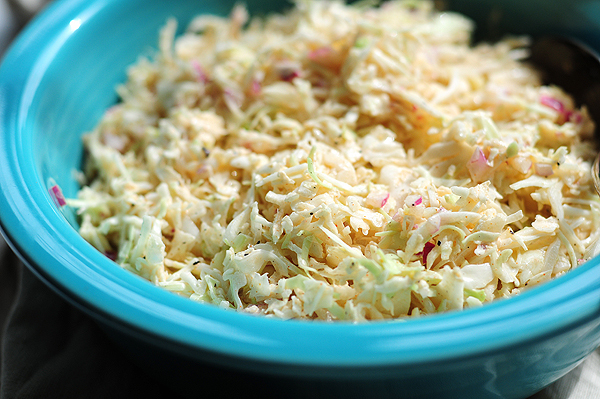 Coleslaw Recipe: This fresh and crunchy coleslaw is perfect paired with pulled pork, fried fish, and hamburgers. 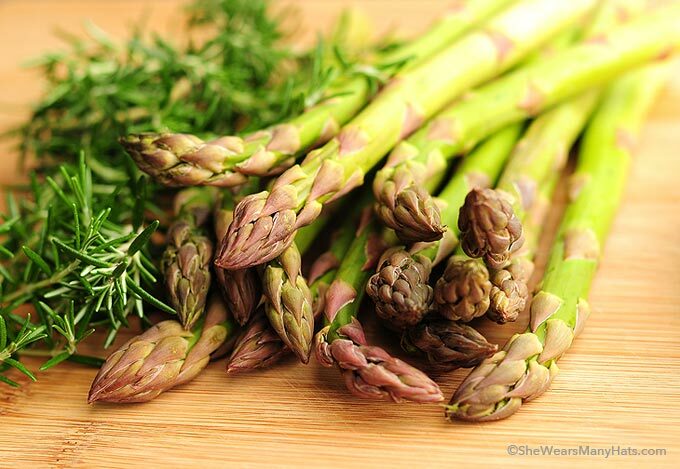 Roasted Asparagus Recipe: Rosemary and lemon combine with fresh asparagus to create a simple and flavorful dish that compliments steak, fish, and chicken so well. Such an easy and quick recipe too! 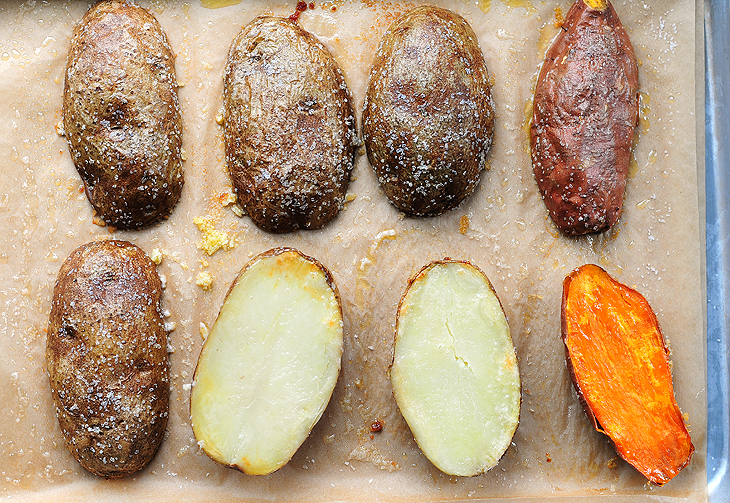 Quick Baked Potatoes: These potatoes result in a cross between a baked potato and twice baked potato without all of the scraping and re-stuffing. Super simple and super quick. AND super satisfying! 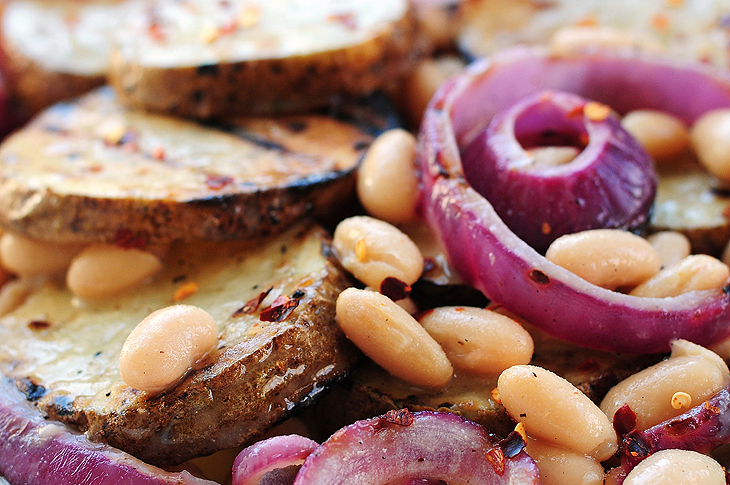 Grilled Potato and Cannellini Bean Salad Recipe: Grilling and roasting always bring out the best flavor in foods and there is no exception with this potato, onion, and bean salad combination. A great recipe to prepare while those steaks are cooking. Happy cooking! I hope you enjoy these recipes as much as we have. I am ALWAYS looking for new and delicious side dishes to try! These all look fabulous! These look so good I want to save all. Thank you. I am overweight and my room mate just found out she has high cholesterol and pre-diabetic. 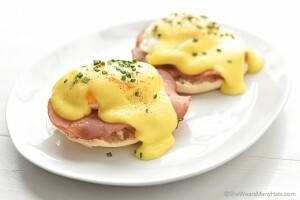 We need some help Amy for some good tasting food that is not going to hinder our health. I also need to find a good source of Vitamin D for her.